Ik ben nog steeds bezig met de serie van Puzzle Embossing. En tegelijk ook bezig met het maken van zomer kaartjes. De tekst heb ik gestempeld met een SU alfabet. Ook al retired, maar zoo mooi. I am still making the serie with Puzzle Embossing. 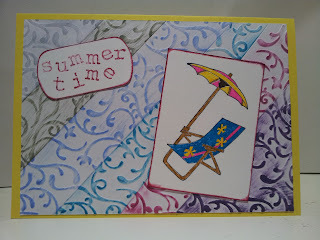 At the same time, I am trying out a few summer cards. The stamp is an old retired Stampin Up stamp. It is a new one for me, just arrived yesterday from America. I had the set, but incomplete. A few weeks ago, I decided it was time to buy a complete set. 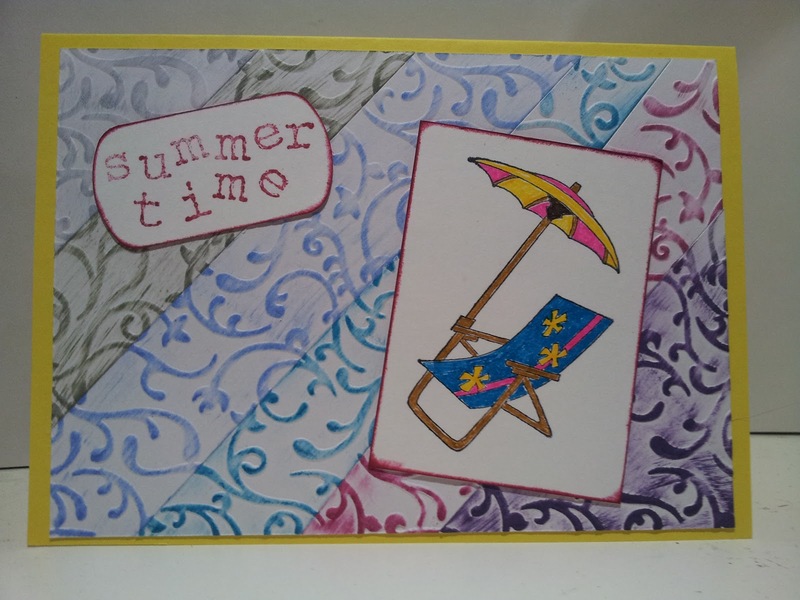 The sentiment is stamped with a Stampin Up alphabet. Retired aswell, but soo usefull. Six days and counting. Yes, six days to complete the year. I must say that even if your cards are beautiful from the start this whole project has made your cards better. I like the dry minimalistic style that you combine with the lovely sparkling colors.